A new species of dinosaur discovered in Montana from approximately 100 – 66 million years ago might help us get an idea of what the T-Rex looked like. When it comes to dinosaurs, the most iconic of them all is without a doubt, the Tyrannosaurus Rex, or T-Rex as we’ve come to know them. Here’s the kicker though, all those images and models you’ve seen of the T-Rex so far weren’t exactly accurate. For a long time, we haven’t actually know what the T-Rex really looked like. Simulations generated using fossils found over the years have given us a very good approximation. But now, thanks to a new species discovered in Montana which lived approximately 100 – 66 million years ago, we might actually have an idea of what the infamous T-Rex actually looked like. 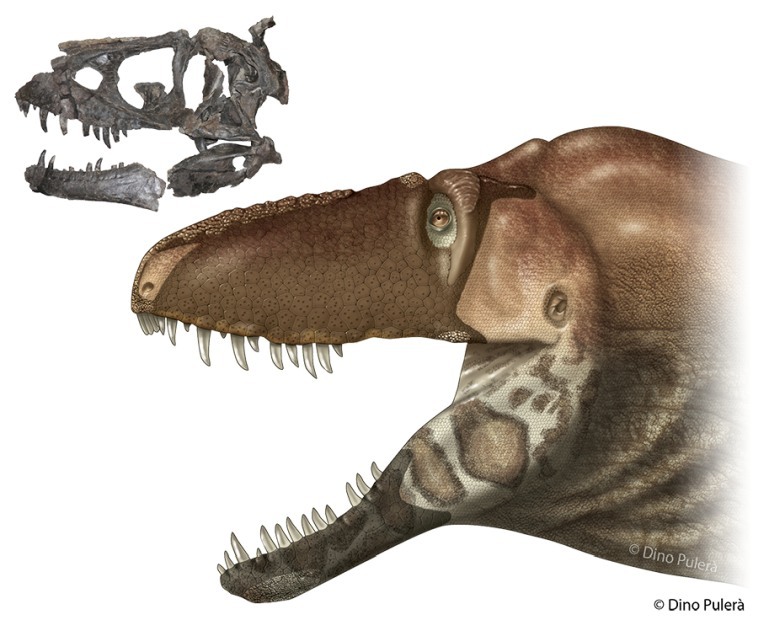 The new species in question is the Daspletosaurus horneri, and its visage (face, sort of) has been described by Carthage College palaeontologist, Thomas Carr in a paper you can find here. This dino had an average length of 9 metres and a height of 2.2 metres. We’ve seen the movies, so we know the T-Rex ran kind of like a flightless bird. The D. horneri does too. Its skull was covered in ridges and different skin types. The team compared the skull of the D. horneri with those of modern birds and crocodiles, and found nearly identical patterns in facial bone structure. What makes this particular species so important is the fact that it could be “critical to understanding the evolutionary transition from non-beak to beak along the line to birds, since beaks are specialized epidermal structures.” Basically, studying the D. horneri will help better understand the evolutionary transition of dinosaurs to more bird-like creatures. This nerve is normally seen in creatures with, say whiskers, for example. In the case of D. horneri however, the nerve would be connected to sensitive scales around the dinosaur’s nose and mouth. Making their snouts more sensitive than even human fingertips. Did you forget the T-Rex? Ahem, back to the question at hand. What did the T-Rex actually look like? Well, we know now that they had many sensitive scales, so you can throw feathers out of the window. While the area around the nose and mouth would have had softer and flat scales, the underside of the jaw and backs of their necks had hard scales. Let’s not forget the ridges over the eyes, made out of keratin – you know the stuff our nails are made of. So, a hen with a crocodile for its head? We’ll leave you with that image in your head. 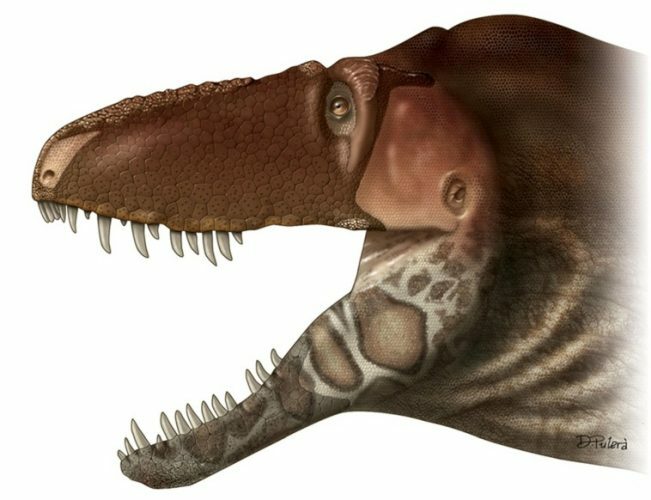 Here’s a picture of the Daspletosaurus horneri’s face, so you can extrapolate from there. Do trees cause global warming?